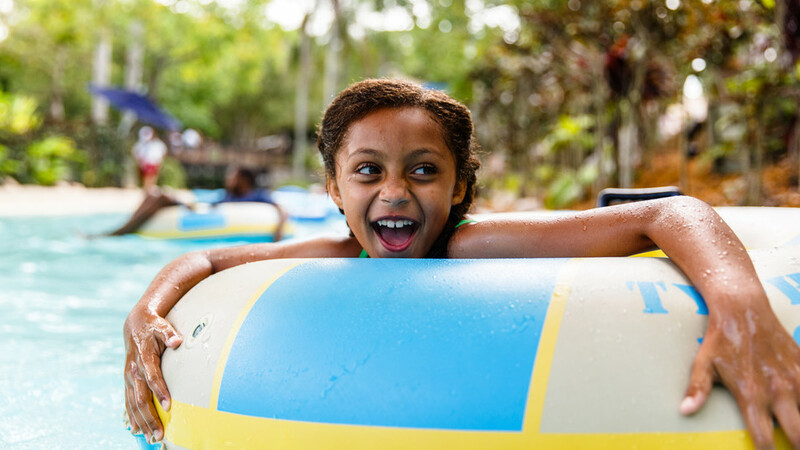 Hop on your tube and enjoy this 2000 foot long lazy river that circles Typhoon Lagoon. There are 5 landings along your river journey. Drift along as you enjoy refreshing cool mists, waterfalls, rope bridges and rainforest landscapes. Enjoy your gentle journey through the cavernous tunnel carved into Mount Mayday. Now which landing was I at? Might as well go around again.